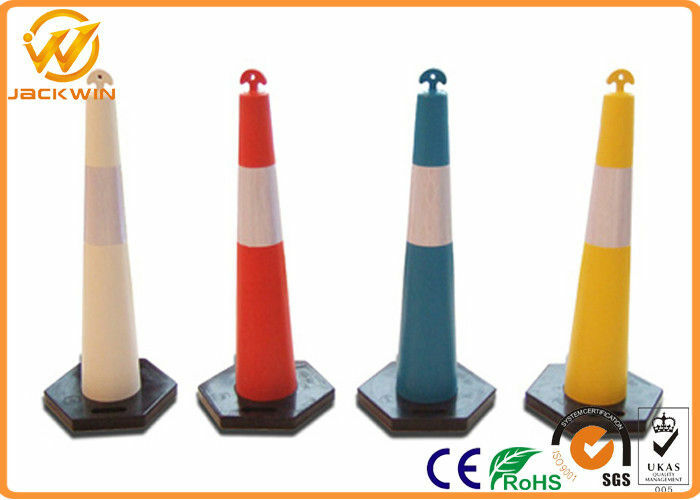 T-Top delineator cones works as a multi-function device (three uses in one), sleeved cone, tubular delineator post and channelizer device. Cones feature unique t-shaped carry handle with mounting hole for light or sign. Cone shape allows stacking with bases for easy storage. (1). 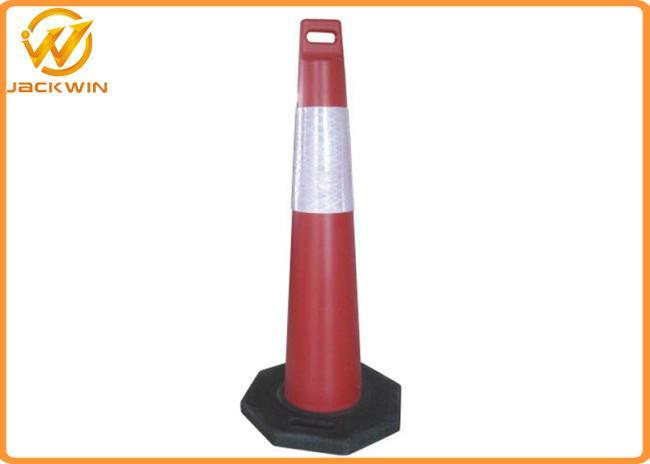 Flexible polyethylene post with reflective striping. (2). Sturdy 8 kg recycled rubber base . (3). Two-piece design for ease in storage & handling . (4). Highly visible day or night . (5). Use for temporary signage, traffic delineation, crowd control & more. (6). Use for traffic delineation, crowd control and much more. (7). Drilled handle can accommodate rope or caution tape to cordon off areas. (8). Low-density polyethylene cone with 15 lb. recycled rubber base. (9). Wide reflective collars assure high visibility day and night. (10). Two-piece design for easy handling, molded-in handle in base. (11). Stackable with or without base for convenient storage.